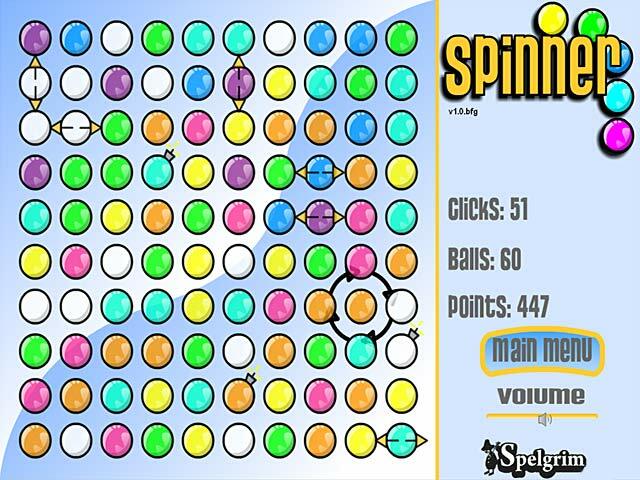 Put a new spin on match-3 games with Spinner. Click on a ball and you rotate its neighbors. Match 3 or more to clear them.A match-3 game with a serious twist!Love match-3 games? How about match-3 games with a twist? 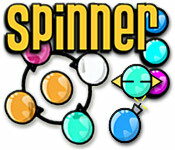 You'll love Spinner. In this unique take on a classic, spin the balls to match 3 or more of the same color. 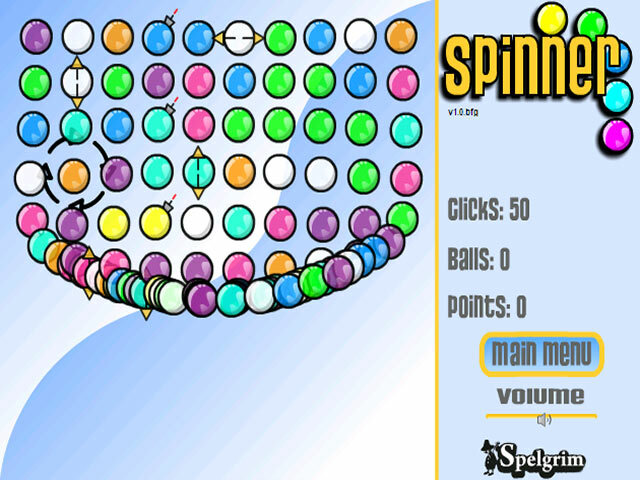 Click on a ball to spin the surrounding balls. Play against the clock or for the least number of clicks. 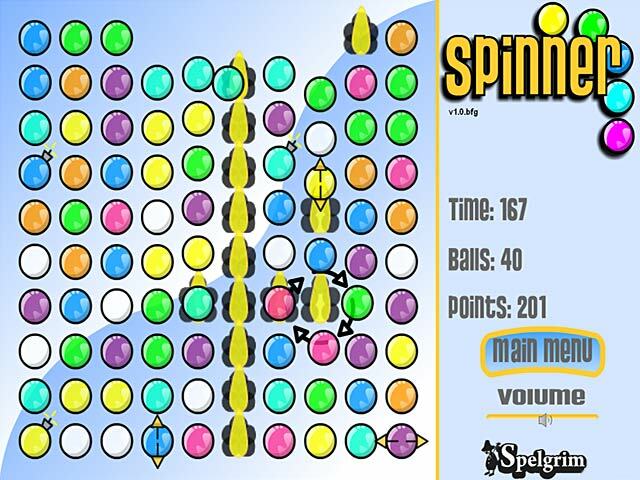 With two play modes that add special line-breaking balls, Spinner will have your head whirling.